From the number of properties in this architectural vein around town, it's clear that the 1930s was a boom period for Penzance. The concept of the Cornish Riviera was being bought into by holiday makers, and the popularity, and consequently the population, of the town swelled. Penzance's heyday was in full swing, and we can still feel a sense of this past greatness when we gaze upon these lasting memorials to a golden era. 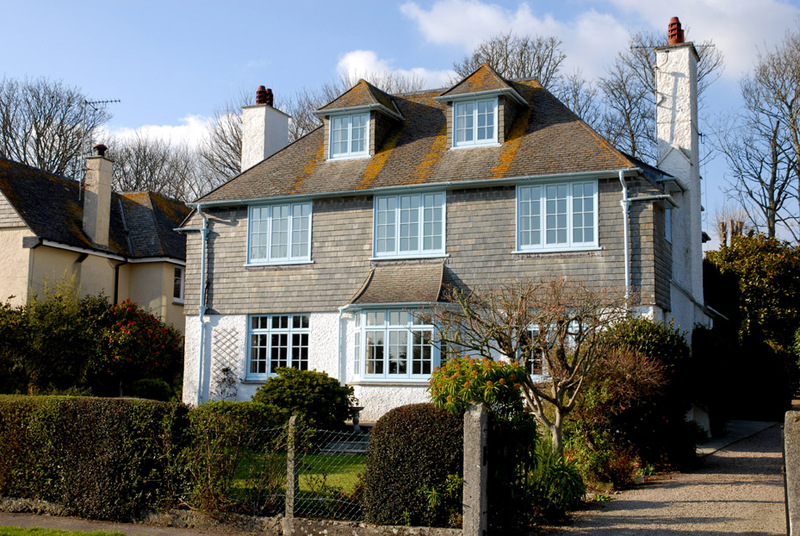 It is a distinctive period in architecture, but styles did vary considerably: in these two examples we can see the lingering influence of the Arts & Crafts movement and the new Art Deco style. In addition to the many private houses, several local public buildings and amenities were constructed during this dynamic decade, including the marvellous Jubilee Bathing Pool – a more powerful statement of a British town expressing a positive sense of identity would be hard to find. 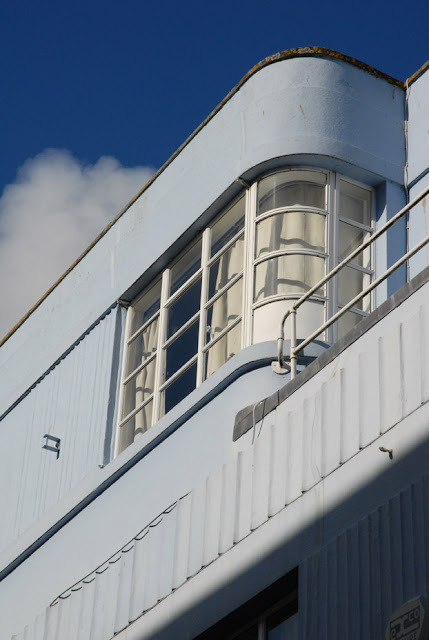 I like spotting these bits of art deco round town - that's the top of the bakery in Causeway head, similar to Lane's auction house and that funny thirties conversion on Captain's Row..I wonder if the same builder built them all? Hi Liz, we love a nice bit of Deco too. It really befits a seaside town somehow. I like to imagine Poirot strutting around inside. We'll get shots of the buildings you mention when the sun next appears. Cheers, PP.